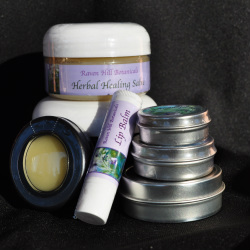 Herbal Healing Salves & Balms have many uses including natural first aid for wounds, burns, cuts, abrasions, skin rashes and irritations of all kinds, (including diaper rash) chapped lips, elbows and knees. 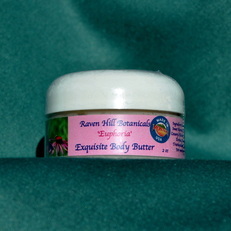 It is an excellent natural first aid cream for wind and sun burned skin, chapped skin and lips. A wonderful hydrating and healing cream for hands and feet, cracks on fingers, cuticle softening, cracked heels and so much more. It has been used a night cream, eye cream, and as an intensive skin moisturizer for everyone young and old, as well as your animal friends. I have heard some use it as a leather conditioner. Use as you may, but enjoy! All our salves & lip balms are handcrafted in small batches starting with organic herbs harvested fresh from our botanical gardens and wild-crafted from the surrounding mountain meadows and forests. 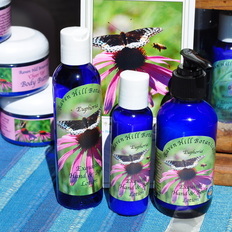 Comfrey Leaf, Flower & Root, Common Garden Plantain & Organic Goldenseal Root in a base of Pure Extra Virgin Olive oil blended with Golden Jojoba oil, Sweet Almond oil, Argan oil, Coconut oil, Shea Butter and Montana Bees wax. Comfrey has impressive wound-healing properties due to the presence of allantoin--a chemical that stimulates cell proliferation. It is a demulcent mucilage making it a powerful healing agent. Goldenseal Root has natural antibiotic properties and is used for inflammation. Plantain has traditionally been used in ointments for cuts, bruises, skin eruptions, hives, rashes of all kinds, hemorrhoids and so much more. 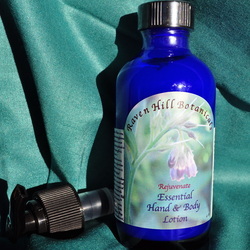 An exquisite Aromatherapy Hand & Body Lotion that is easily absorbed by the skin with a deep penetrating blend of oils such as hemp, jojoba, sweet almond and argan oils to help seal in moisture so skin will feel soft and supple without greasy residue. Rejuvenates aromatic influence promotes an energetic aroma that is uplifting to the spirit and helps foster a sense of peace and well being. ﻿do TERRA﻿ Essential Oils: Bergamot, Geranium, Wild Orange and ElevationTM (Joyful Blend) - Lavender, Tangerine, Elemi, Lemon Myrtle, Melissa, Ylang ylang, Osmanthus, Sandalwood. A thick and velvety cream that is easily absorbed and leaves your skin silky smooth without a greasy residue. Use it as your daily moisturizer and is gentle enough to use on all skin types. Cocoa, Coconut, Hemp, Sweet Almond, Golden Jojoba and Argan oils all contribute in making this lotion an absolutely exquisite hydrating cream. The combination of doTERRA Essential oils used in this formula creates an energetic aroma that is uplifting to the spirit and helps to foster a sense of peace and well-being. doTERRA Essential Oils: Bergamot, Geranium, Wild Orange; ElevationTM (Joyful Blend) ~Lavender,Tangerine, Elemi, Lemon Myrtle, Melissa, Ylang Ylang Osmanthus, Sandalwood. 'Euphoria' Essential Body Butter is the same thick & velvety cream used in Cheer Up Body Butter - a rich & velvety cream that is deeply hydrating with exquisite oils that make this top a Body Butter your body will delight in. We use a unique blend of dōTERRA's Essential oils starting with 'Whisper Blend' for Women Essential Oils- Bergamot, Ylang Ylang, Patchouli, Vanilla Bean Absolute, Jasmine Flower Absolute, Cinnamon Bark, Labdanum, Vetiver Root, Hawaiian Sandlewood, Cocoa Bean Absolute, Rose Flower Essential oils. 'Euphoria' Hand & Body Lotion is an exquisitely rich & velvety lotion that is easily absorbed by the skin with a deeply penetrating blend of oils to help seal in moisture so skin will feel soft and supple without greasy residue. This complex and diverse blend of doTERRA Essential Oils entices the senses with a warm and spicy, musky yet soft, sweet aromatic influence which mingles with one's own chemistry to create a unique personal fragrance. This exquisite lotion is unmatched in complexity and aromatic influence. doTERRA's 'Whisper Blend' for Women Essential Oils- Bergamot, Ylang Ylang, Patchouli, Vanilla Bean Absolute, Jasmine Flower Absolute, Cinnamon Bark, Labdanum, Vetiver Root, Hawaiian Sandlewood, Cocoa Bean Absolute, Rose Flower Essential oils. Our formula is unique! 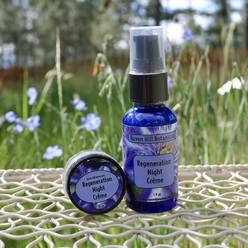 The oils alone are known for their amazing healing, conditioning and anti-aging properties to revitalize the skin, add to that the botanicals extracts and most importantly, the exquisite and rare healing essential oils and you have an excellent natural skin care, and anti-aging creme, treatment for psoriasis, dermatitis, eczema and other skin eruptions. Our Immortelle Rejuvenating Healing Creme is made in small batches from organic herbs fresh from my botanical gardens and wildcrafted from the surrounding mountain meadows and forests. Comfrey leaf, flower & root, plantain, organic goldenseal leaf & root and other wildcrafted~such as wild geranium and yarrow, rosehips, wild rose petals, and chamomile infused in a base of pure extra virgin organic olive oil blended with organic sweet almond oil, organic avocado oil, organic golden jojoba oil, organic coconut oil and organic argan oil, and aloe vera for it's soothing abilities. Excellent beneficial qualities of aiding absorption and soothing skin complaints. Shea butter not only aids in deeply hydrating the skin, but adding UV protection as well as improving the skins elasticity and as an anti-inflammatory. Excellent as an intense moisturizer night cream & more! Ingredients: organic jojoba oil, organic aloe vera, organic cocoa butter, shea butter, organic glycerine, Vitamin E oil, garden fresh comfrey leaf, flower & root and wildcrafted~wild geranium, red clover, calendula blossoms and wild rose petals infused in organic jojoba & sweet almond oil, blended with organic carrot seed oil, organic pomegranate seed oil, organic rose hip seed oil, organic sea buckthorn oil, Montana bees wax. 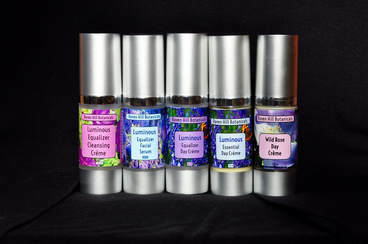 Certified Pure Therapeutic Grade Essential Oils: Bulgarian Rose(Rosa damascena), Jasmine(Jasminum grandiflorum), Helichrysum (Immortelle or Life-Everlasting), Hawaiian Sandalwood. Inspired by the brightest star in the sky, the SIRIUS Collection was expertly formulated to let your natural beauty shine bright all year long. 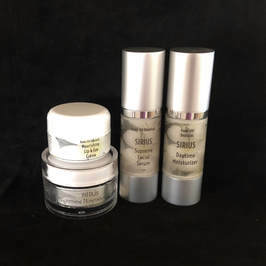 These cremes are packed full of the most potent ingredients available to make your skin look it’s naturally beautiful best as it ages. The stars in this line include CoQ10, Alpha Lipoid and Hyaluronic Acids, Vitamins C, A, B3 and pro-vitamin B5, and DMAE all in a delicate rosewater base. Light and silky smooth, Daytime Moisturizer is perfect for locking in moisture, so your skin looks and feels absolutely fabulous! With Hyaluronic Acid for deep hydration and DMAE, OptiMSM, and extracts of rooibos and pomegranate this moisturizer is perfect for everyday use! Lightly scented with the Essential Oils of - Clary Sage, Jasmine, Bulgarian Rose, Ylang Ylang II, Neroli, Geranium, and Lavender—fabulous EOs that help balance and calm! Pumpkin, cranberry and pomegranate all come together to celebrate as a perfect blend for the face. These oils blended for their complex nutrient profile creating a galaxy of vitamins and nutrients. Your skin will exhibit an etherial brighter than a supernova! Belle Epoque Women's Balancing Blend Adore, embrace, and be tender. 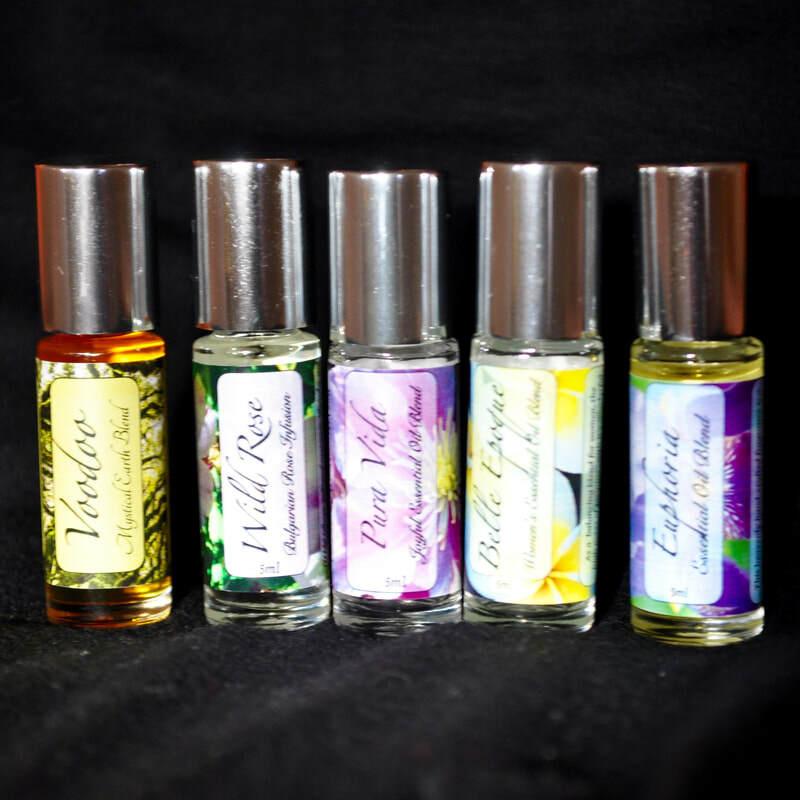 A heart-opening blend of natural, sensual oils to inspire you to be your most loving self. Sweet jasmine and classic rose are balanced by Clary Sage and frankincense for a scent that’s nothing short of irresistible. Sweet Almond oil has traditionally been used in natural skin care and is a base for skin lotion. It is excellent for every skin type; it will calm itching, chapping, dryness and inflammation. A natural source of vitamin E helps diminish fine lines and wrinkles. Sweet almond oil is pressed from the dried kernel of sweet almonds and is rich in omega-9 and omega-6 fatty acids. Traditionally used by massage therapists to enhance their client’s experience, it also makes the external layers of skin softer and more pliable. It increases skin’s moisture level by limiting evaporation and is rich in Vitamin E and other nutrient rich lipids. Golden Jojoba oil is very unique and known for its high Vitamin E content that offers proven moisturizing properties. Produced from the seed of the jojoba plant, it is technically a liquid wax. It is similar to the natural oils in human skin and therefore is absorbed quickly without that greasy feel. Considered nearly hypoallergenic, used over time will shrink the size of your pores. Golden Jojoba oil has traditionally been used to prevent skin infections from acne and fungal infections. It has effectively been used to treat acute skin conditions like psoriasis, eczema and rosacea. Pure Argan oil is also rich in Vitamin E and various essential fatty acids is great for a daily moisturizer and softening cuticles and even great on acne. Cosmetic Argan oil is easily absorbed into your skin to give a youthful glow. It is known for its amazing healing, conditioning and anti-aging properties to revitalize the skin. Argan Oil is most commonly used as a skin moisturizer to hydrate and soften skin. With its high vitamin E and fatty acid content, Argan oil is the ideal product to give skin a natural boost. It absorbs easily and is non-greasy and non-irritating, which makes it a great natural moisturizer. dōTERRA®'s F﻿ractionated Coconut Oil﻿ "is an all-natural carrier oil that readily absorbs into the skin making it an ideal oil for topical therapies. Its feather-light emollient effect provides a soothing barrier without clogging pores and is excellent for dry or troubled skin. It leaves skin feeling silky smooth. Shea Butter can improve skin elasticity, which has made it popular with both men and women. 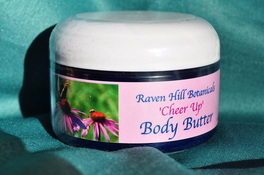 Today it is used as an essential ingredient for belly (and body) butters and stretch mark creams. More than that, though, Shea Butter can also block the sun’s ultraviolet rays, so you will often find it as a major ingredient in sun block products, lip balms, and lip gloss. It can also be used as an anti-inflammatory and humectants which makes it very useful in medicinal ointments and creams. Carrot Seed Oil “Queen Anne's Lace” is most commonly valued for skin care. It is used in skin creams to nourish and revitalize the skin. 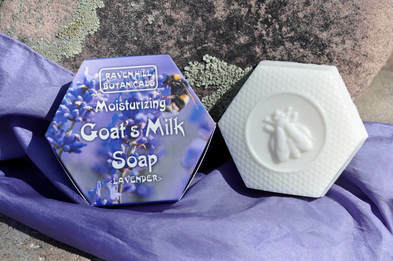 It soothes, and nourishes irritated skin. Carrot Seed Oil is high in anti-oxidant properties. What’s magical about carrot seed oil, however, is its ability to rejuvenate skin, so it's a natural for anti-aging skin formulas like our Regeneration Night Creme.These components can help protect your skin from environmental assaults like UV rays, pollution, and stress. In fact, carrot seed oil may be added to your sunscreen formula because it is reputed to protect from free radicals produced by UV radiation. Carotenoids, in particular, have been found to enhance the body’s immune response to UV rays, which can decrease skin damage from UV exposure. Sea buckthorn oil is well-known today for it's healing and rejuvenating effects on the skin. When used topically, it's a great natural cleanser and exfoliator. It can also help heal burns, cuts, wounds, sunburn, rashes, and other types of skin damage. Using sea buckthorn oil daily helps slow down the signs of aging by nourishing the tissues in your skin and body. Sea buckthorn has a long history of use in folk medicine, dating back thousands of years. Tibetan doctors during the Tang dynasty used it to help relieve various health problems. It is renowned in Ayurvedic medicine as far back as 5000 BC. In 12 BC, the ancient Greeks used it to treat various health issues. Apricot Kernel Oil has become a common ingredient found in many creams, soaps, lotions and other beauty products since it is fairly light and gentle on the skin. The benefits of using apricot oil for the skin are many. The re-hydrating properties in apricot oil make it a natural moisturizer for any type of skin. This oil is light and does not leave a greasy coat on the skin, after use.The high Gamma Linoleic Acid (GLA) content present in apricot oil enables your skin to maintain its moisture balance. This acid also helps tone and firm up your skin. The Vitamin A and Vitamin E present in apricot oil slow down the signs of ageing. Since this oil contains anti-inflammatory properties, it can be used to soothe minor skin conditions, like eczema. Rosehip oil is a truly remarkable natural product with amazing skin rejuvenating and hair conditioning properties. It has been used for generations by the Andean Indians of Chile who recognized years ago that Rosehip oil had exceptional healing skin care and hair care benefits. It’s brimming with natural nutrients and vitamins and can be used both externally and taken internally. The UV rays of the sun can damage the skin, resulting in age spots and discoloration on the face. The antioxidants found in rosehip oil combat free radicals that cause sun damage. The vitamin A, combined with the oil's essential fatty acids, can help improve skin tone, texture and pigmentation. Pomegranate Seed Oil Reinvigorates Skin~Pomegranate seed oil stimulates “keratinocytes” major cells found in the outer layer of the skin. This helps to reverse skin damage, revive skin and reveal a more youthful appearance. Fights Against Free Radicals~Pomegranate seed oil contains a unique polyunsaturated oil called 'punicic acid', an omega 5 fatty acid, which has strong anti-inflammatory properties. The oil fends off free radicals to keep skin ageing at bay. It also provides protection against sun damage. A study concluded that pomegranate seed oil significantly decreased the occurrence of skin cancer in mice exposed to cancer- causing chemicals. Perfect for all skin types. do TERRA Bergamot, Geranium, Wild Orange and ElevationTM (Joyful Blend) - Lavender, Tangerine, Elemi, Lemon Myrtle, Melissa, Ylang ylang, Osmanthus, Sandalwood. (Whisper Blend for Women)-Ylang Ylang, Patchouli Leaf, Vanilla Bean Absolute, Jasmine Flwer Absolute, Cinnamon Bark, Labdanum, Vetiver Root, Hawaiian Sandalwood, Cocoa Bean Absolute, Rose Flower essential oils in a base of Fractionated Coconut Oil. Geranium essential oil dates back to ancient Egypt when Egyptians used Geranium oil to beautify skin and for its internal health benefits. As an essential oil, Geranium has been used to promote clear, healthy skin—making it ideal for skin care products. Jasmine The name Jasmine comes from the Persian word 'yasmin' which means "a gift from God". It is known as the 'King of Oils, although it is known as the 'king', it is very much a woman's oil. With its wonderful soothing and sensual aroma, this has been a favorite oil for many for thousands of years. Jasmine essential oil helps improve the skins elasticity. Also good for stretch marks and scars. Jasmine oil is fantastic in that it tones all types of skin. 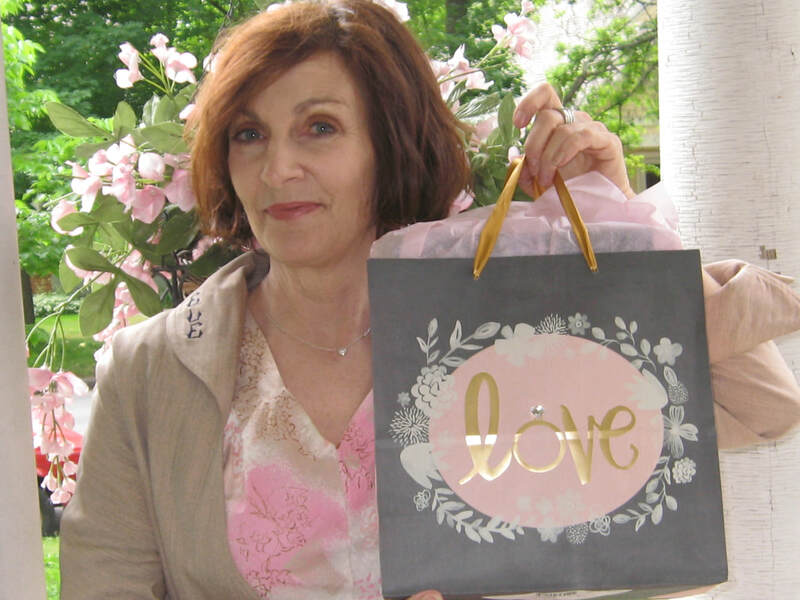 Rose essential oil has been used throughout history in the ancient art of aromatherapy as a healing tonic and mood-elevating supplement as well as an aphrodisiac. Roses are widely considered the most beautiful flowers in the world. The flower is an integral part of innumerable stories, legends, myths and legacies and of course aromatherapy & skin care. 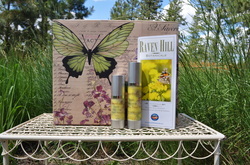 It is one of the best oils to give you shining, fresh and youthful skin. Especial healing for mature skin, it is used the world over for it anti-aging skincare products as well as enticing perfumes and Lotions. This oil is widely used in Aromatherapy and invokes positive thoughts, spiritual relaxation and feelings of joy, happiness and hope. Bergamot - Properties: Analgesic, antibacterial, anti-infectious, antispasmodic, sedative and uplifting. Aromatic Influence: Uplifting and refreshing, may help to relieve anxiety, depression, stress and tension. Geranium - Properties: Antibacterial, anticonvulsant, antidepressant, anti-inflammatory, antiseptic, astringent, insect repellant, refreshing, relaxing, tonic. Aromatic influence: Geranium has been known to release negative memories and transport us back to peaceful moments. Helps to restore emotional balance, uplifting to the spirit and fosters peace, well-being and hope. ​Wild Orange Properties: Anticancer, antidepressant, antispasmodic, antiseptic, sedative and tonic. Aromatic Influence: Promotes awareness and is uplifting. Lavender - Properties: Analgesic, anticoagulant, anticonvulsant, antihistamine, anti-fungal, antidepressant, antimicrobial, antiseptic, antispasmodic, antitoxic, anti-tumor, regenerative and sedative. Aromatic Influence: Lavender helps nurtures emotional balance and creativity; promotes consciousness, health, love, peace and a general sense of well being. Elemi Properties: Antidepressant and sedative. It may help relieve stress and calms the nerves. Lemon Myrtle: Properties: Elevating and refreshing. Melissa: helps with depression and anxiety; is uplifting to the spirit. Osmanthus: Once of the 10 traditional flowers of China. The blossoms are highly aromatic. Heady and uplifting, this fragrance is very rich with a rich sweet floral bouquet and is known for making everyone smile. Sandalwood: Properties: Calming and sedative. It helps balance and harmonize the emotions and eases nervous tension. Ylang ylang: Properties : Antidepressant, antiseptic, antispasmodic, sedative and tonic. Aromatic Influence: Calming and relaxing. It brings back the feeling of self confidence, joy and peace. It may also help stimulate the adrenal glands. Helps to alleviate anger.